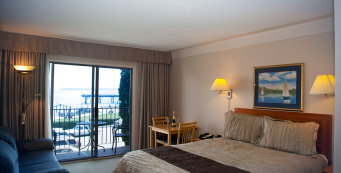 Small in size but never in service, the Sidney Waterfront Inn & Suites provides you the personalized hospitality that only small family property can provide. Spend an evening watching sailboats drift by on a cool summer breeze, and you will quickly discover why we are fortunate to live, work and play in this beautiful seaside community. 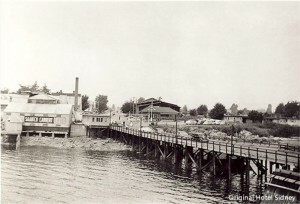 The original Hotel Sidney was built in 1891 by Captain Bissett and stood at the corner of Beacon Ave. and First Street. 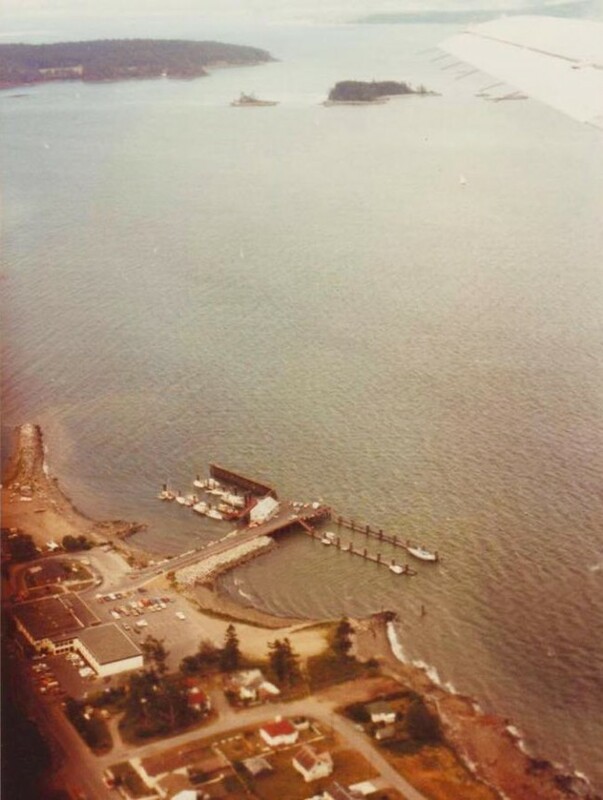 The Pier, in front of Hotel Sidney, was the gateway to the United states via the Anacortes Ferry. Lineups for the ferry used to extend all the way up Beacon Ave.
Sidney Waterfront Inn & Suites is a family business that started in 1963 when the Paquette family purchased Hotel Sidney. A new Cannery style building now rests on the corner of Beacon and First and is home to 10 deluxe suites. 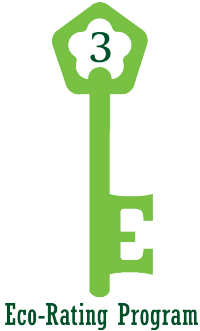 Access to the Lobby and remaining 26 standard rooms is from First Street entrance. 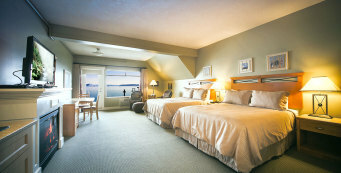 Sidney Waterfront Inn & Suites, located on the waterfront at the roundabout in Sidney B.C., is 10 minutes from the B.C. 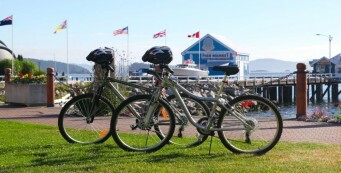 ferry terminal, 5 minutes from the Victoria International Airport and 3 blocks from the Anacortes ferry.